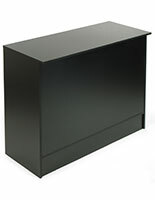 Store Fixtures are our Business here at StoreFixture.com! 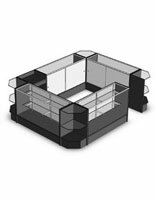 This 9-piece Configuration Will Help You Design the Perfect Store! 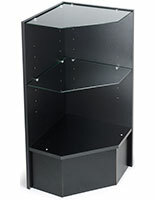 Store fixtures provide you with storage and display space. 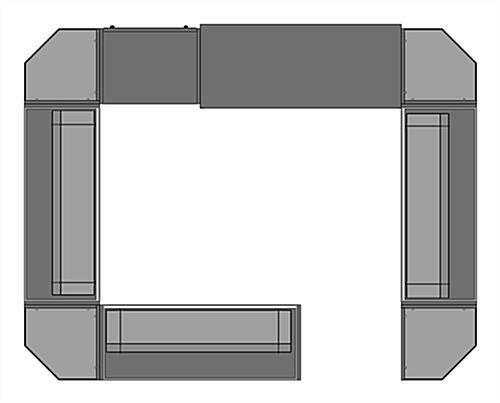 These retail counters, store fixtures are pre-configured into a square-style configuration. 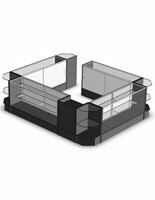 These showcases are ideal store fixtures to be used as a center island of a jewelry or department store. 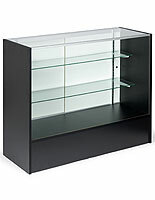 Buy these store fixtures to showcase jewelry, perfume, handbags, or other expensive items. Sliding white doors keep your items set against a neutral backdrop. 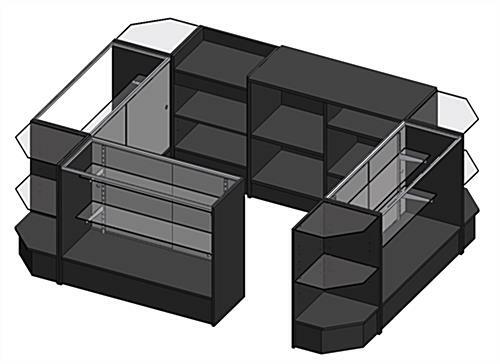 Showcases, store fixtures provide plenty of both storage and display space! 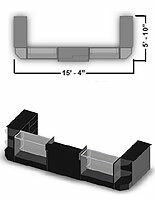 These store fixtures, such as retail fixtures, or store display cases, are pre-configured to save you time. 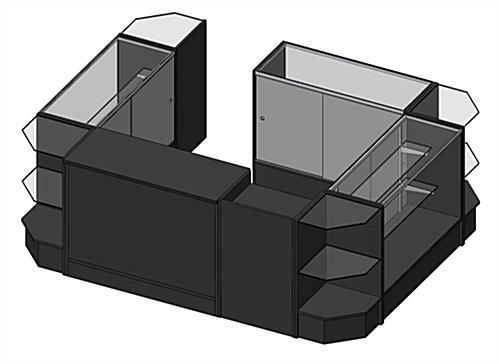 We know it takes a long time to open a retail store and we want to make it as easy as possible for you. These fixtures are our way of offering you a little help. 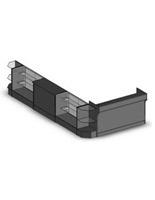 We offer store fixtures pre-designed to meet the needs of certain store layouts. 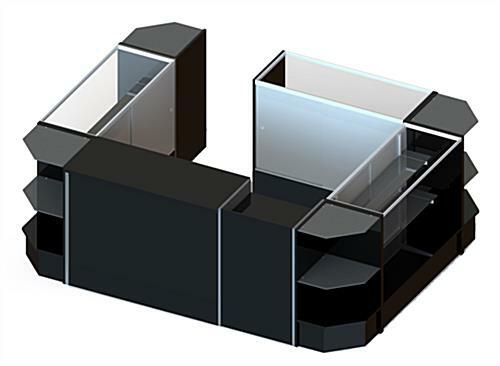 These store fixtures, also known as retail showcases, are sure to suit your displaying needs.